I should not complain. We have been in drought for many years and now we are back to our normal weather patterns of wet, stormy summers. 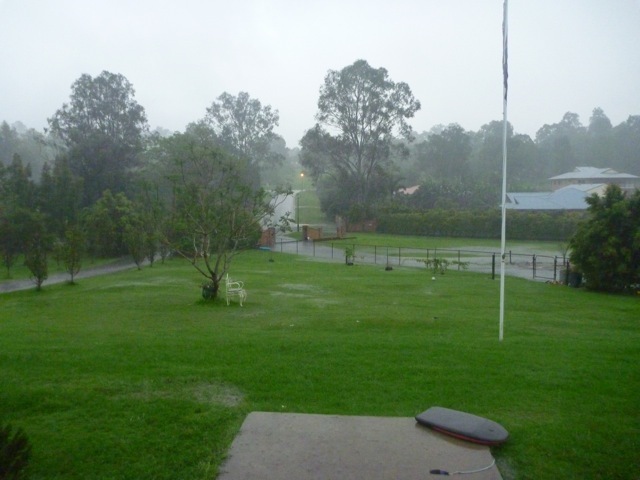 Welcome floods and over flowing dams. It’s 6am in the morning and it has been raining heavily for days. 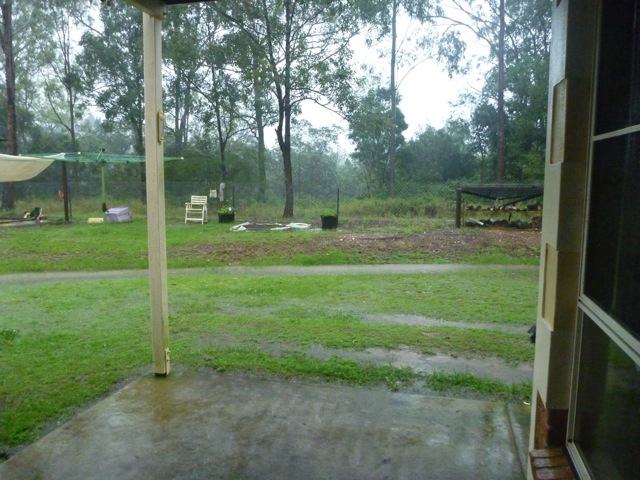 Just image a torrential downpour, lightening and thunder in the background. 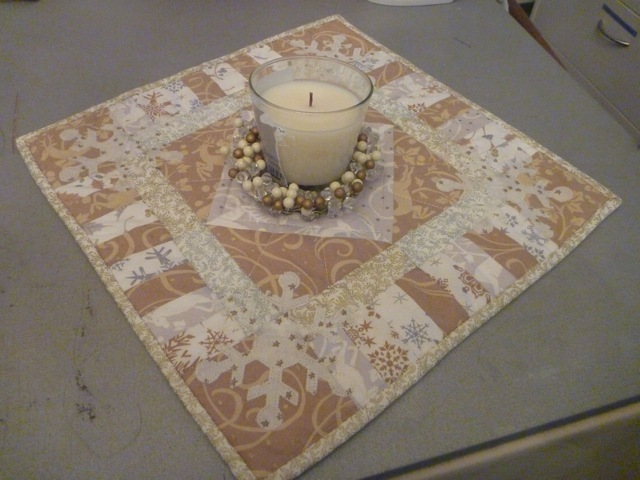 It has been perfect weather to finish my candle mat. I look forward every morning to reading the comments people have left for my ‘Fall into Fall” giveaway. They are very entertaining. Only four more days to go before I announce the winner. Yes, that is the advantage living on this side of the date line. I love your candle mat very pretty We have plenty rain on our side of town to. I love the fabric and look of the candlemate. It is elegant. The candle mat is stunning! I wish you could send some of that rain our direction. Your candlemat is lovely and you have given me an idea for a present.